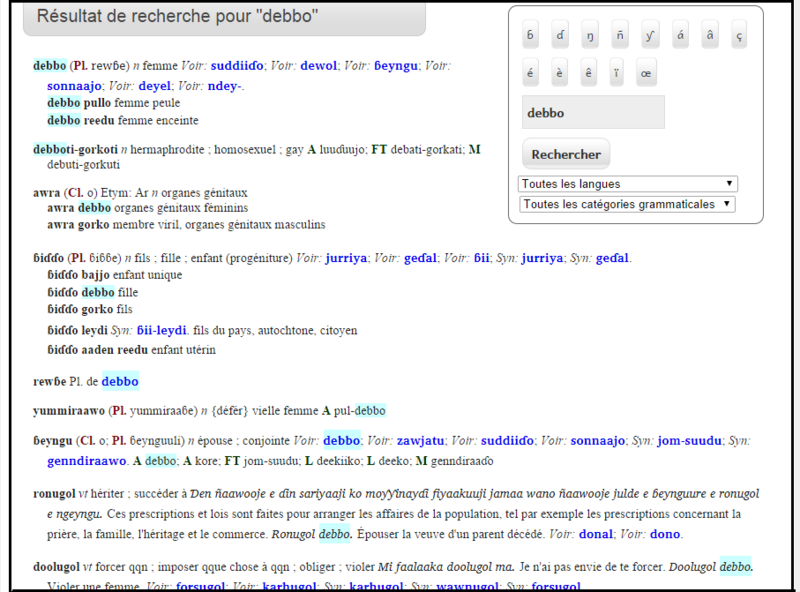 When you click on Search in the menu, you will be able to access the main search function for the Pular dictionary. Here you can enter search terms into the Search box. Clicking the Search button will then search the dictionary for the words that you enter.